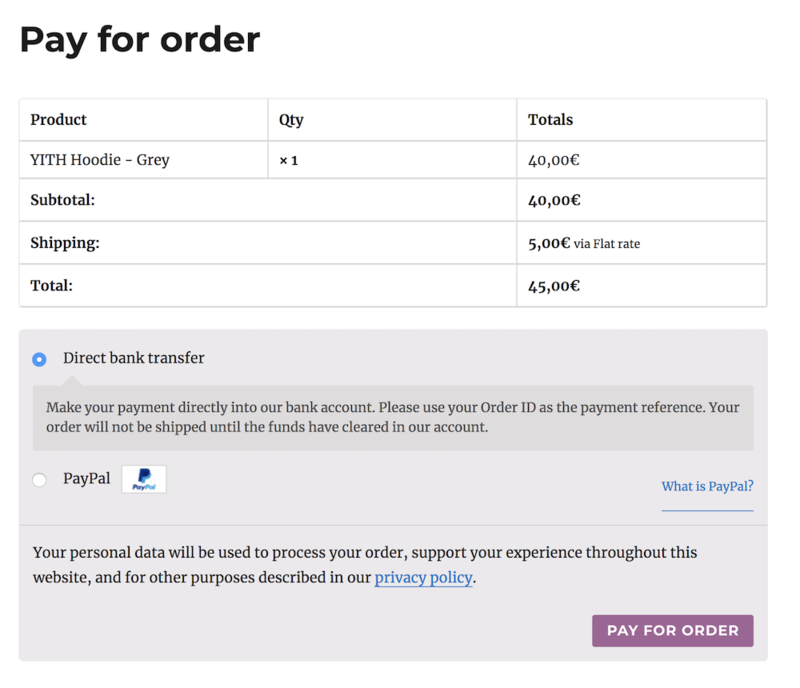 With YITH WooCommerce One-Click Checkout users of your shop can directly pay for their orders and skip the checkout page where they are asked to enter all billing and shipping data. Once you install the plugin, it will add a one-click button on every product within its detail page. N.B. – The plugin features can be seen only by users who have already purchased (at least once) in your shop or that have at least entered their shipping address. 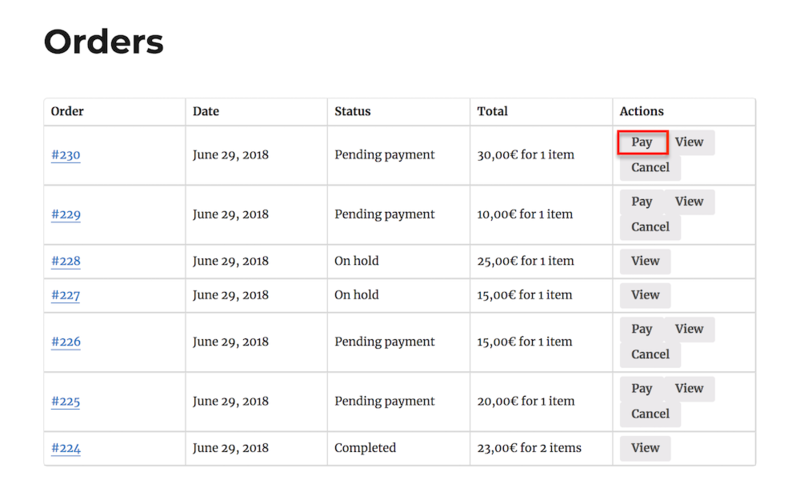 When you click on the button, an order is automatically created and its status is set on Pending in WooCommerce. Users can pay from their restricted area in My Account page. All orders made using one-click feature will show the button “Pay” through which users will be able to pay for the concerned order. When users click on that button, they are redirected to the dedicated page where they can choose the payment method they prefer.